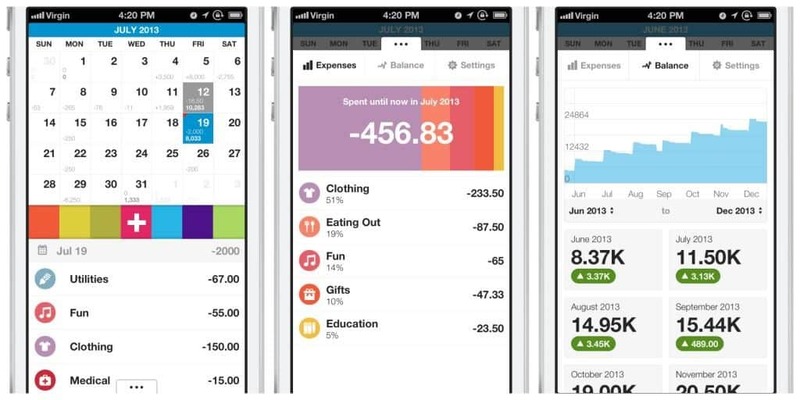 In our digital world and with nearly everyone having a smartphone in hand, managing your finances is getting easier. 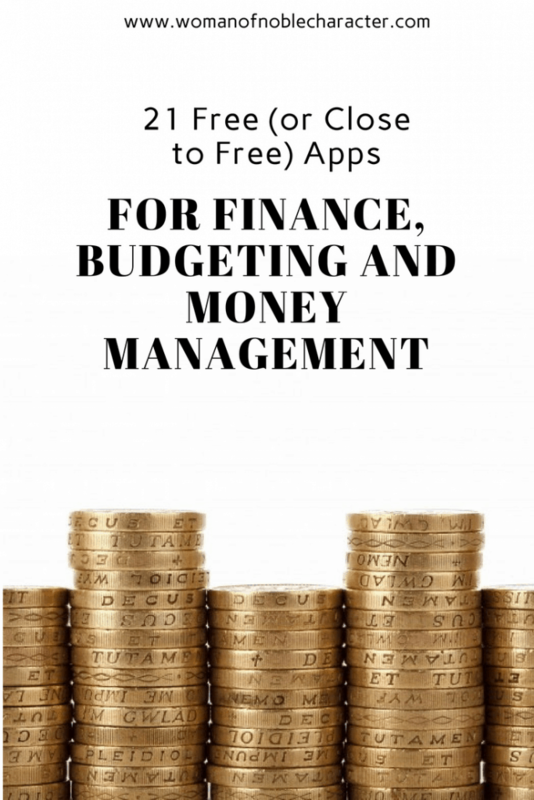 I’ve compiled 21 free apps for finance to help you with everything from budgeting, saving, paying bills and monitoring your credit. Some have paid versions, but most are entirely free. Whether you are struggling to make ends meet and need a budget or looking to sock away more in your savings account, I’ve got you covered. The apps for finance are divided by type and links to download the apps are included. Information and pricing are accurate up to day this post was published. Whether you’re seeking a loan for a car or need to rent an apartment, your credit score matters. Credit Karma is a free app that retrieves and monitors your credit scores from credit bureaus Equifax and TransUnion. The app explains what your scores mean and offers product recommendations — credit cards, insurance and loans — that fit your personal financial circumstance. 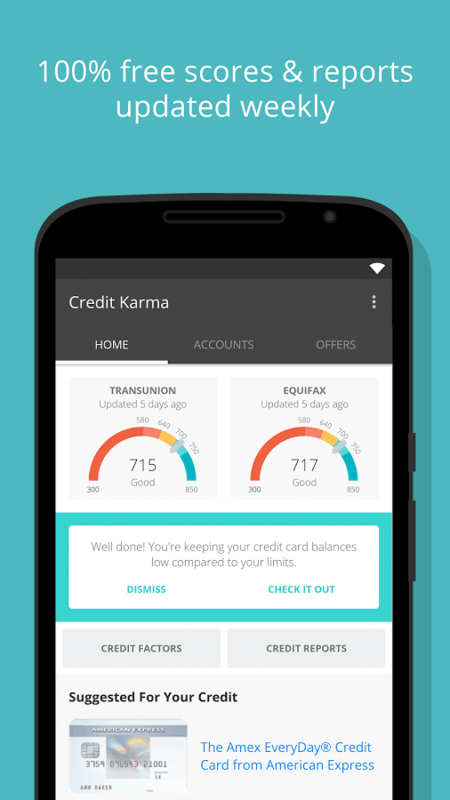 Credit Karma monitors your credit with weekly and daily updates and notifications. This really cool of the apps for finances is a bit different. Dave.com is a US-only app predicts a user’s “7 Day Low”, aka the lowest it thinks your bank balance will drop in the next seven days, in order to encourage and support better money management. The ultimate aim being to help people avoid having to fall back on their overdraft as “an expensive form of credit”, says co-founder Jason Wilk, describing it as a sort of “weather forecast” for money management. Dave also includes a payday loan facility — so users who face the inevitability of having to dip into a negative balance can opt to borrow up to $250 ahead of their next paycheck to see them through. 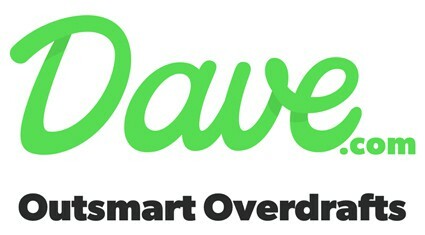 But unlike payday loan companies which also offer a short term borrowing facility to mobile users but typically charge very high rates of interest, Dave’s payday loans are 0% interest. Backed by Shark investor, Mark Cuban, this one can save the day and prevent overdrafts. A must-have on your list of apps for finance if you tend to overdraw your bank account – even occasionally. 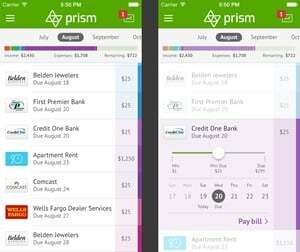 Prism allows users to see their account balances and bills on one platform. Bills can be paid directly from the app or scheduled for payment later. The service sends impending due date and payment confirmation notifications. The way Prism works is pretty simple. Basically, it’s a bill management app that lets you see and pay all of your bills from a single app. The app only works on your phone and there’s no web app for it at the moment. 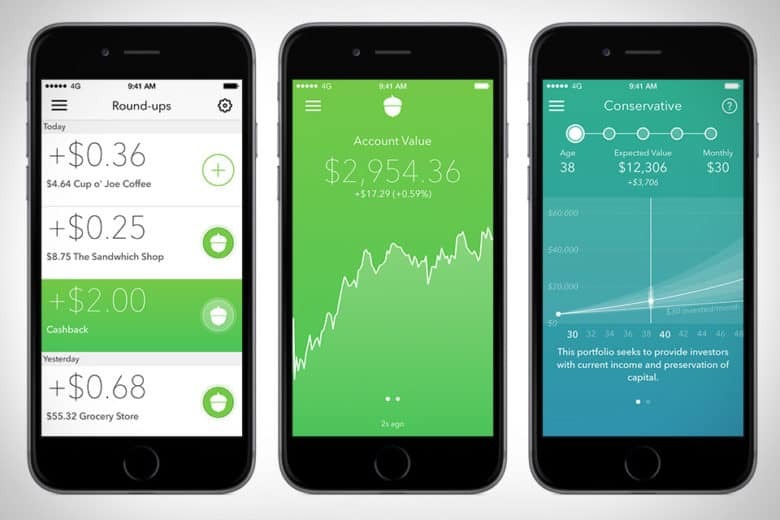 Mint is one of the most popular and highly reviewed of the apps for finance. 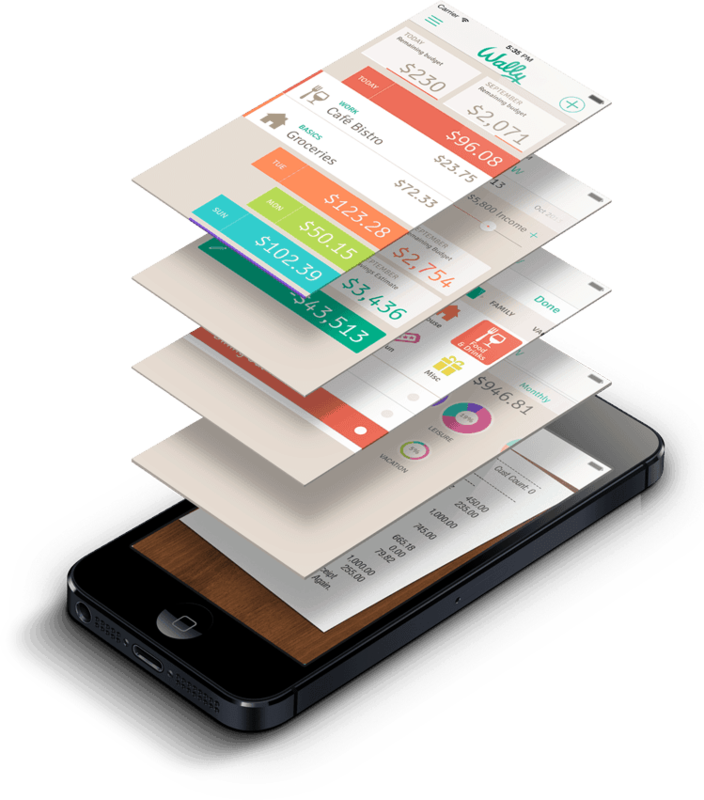 The app automatically updates and categorizes transactions, creating a picture of spending in real time. Users can add their own categories, pay bills, split ATM transactions into the purchases made with that cash, and set budgets that alert you when they start to top out. The service also comes with a free credit score. Intuit’s Mint Personal Finance not only helps you track your income and expenses, but also your financial state as a whole. 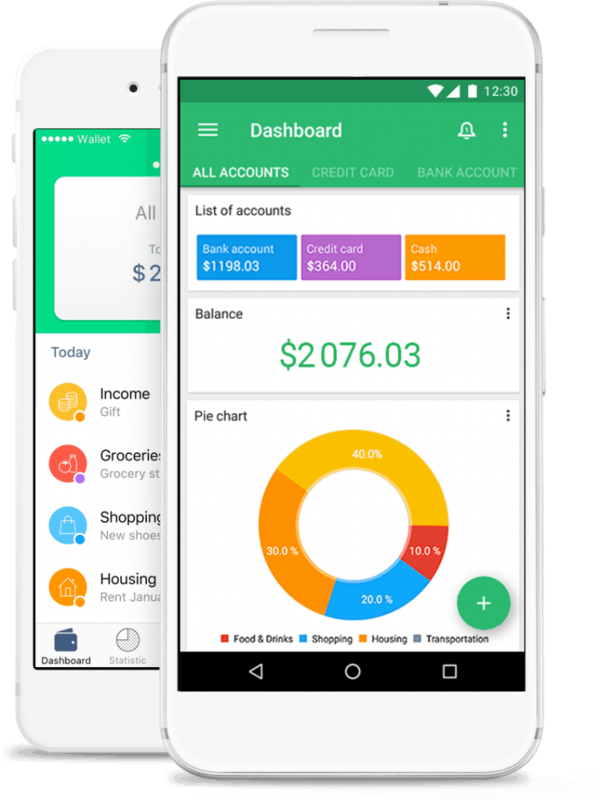 Besides allowing for in-depth personal budget management and expense logging, the Mint app lets you sync your bank and card details for an up-to-date and secure look at your financial state. 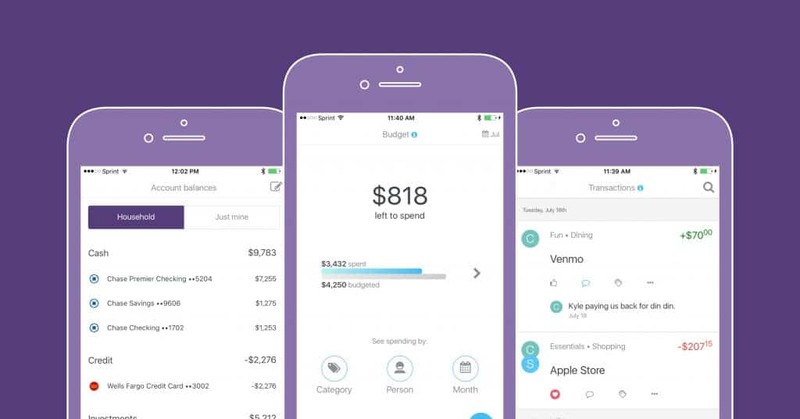 It’s overkill if all you’re looking for is a little help with simple budgeting, but Mint Personal Finance is great if you’re looking for more features. PocketGuard boils budgeting down to the only thing many users want to know: how much they have for spending. It crunches the numbers to show how much money is available after accounting for bills, spending and savings goal contributions. All users can view how much money is left “in their pocket” for the day, week or month. Those who want to dial down further can track certain categories of spending — like groceries, clothing or eating out — and lower their bills. 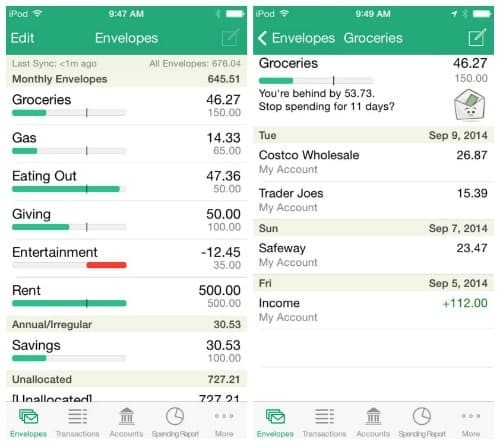 Dollarbird takes a collaborative, calendar-centric approach to budgeting and expense tracking. You can add, remove and edit expenses and income past and future in a calendar-style view, with some AI help to categorize your entries. You can then view your expenses and income in calendar and timeline mode, or via a series of handy infographics on your mobile device or through a web interface. Premium users can create multiple budgeting calendars and share them with other users to collaboratively manage and log finances and expenses — great for small teams or families. 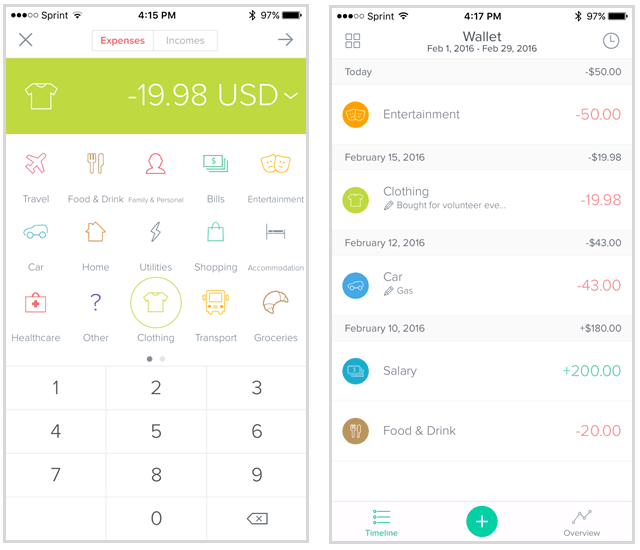 Honeyfi is an app for finance built around collaborative budgeting and households in mind. You can quickly set up a household budget as well as link your individual and household accounts to the app so that you can view all your expenses together. You can tag transactions, add comments, create categories, and have the app automatically recommend a budget and share financial insights that can help you and your partner come to grips with your expenses and plan out your finances together. 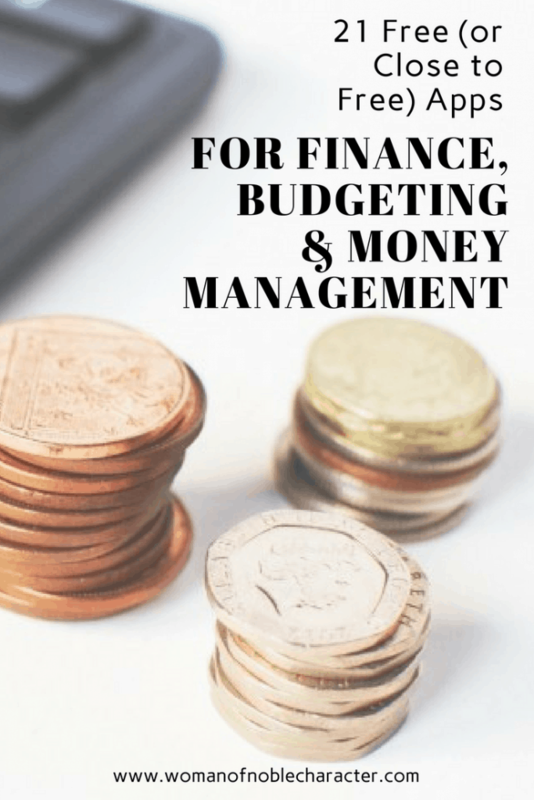 Clarity Money is one of the free apps for finance that helps you manage your budget and save money through a variety of methods. 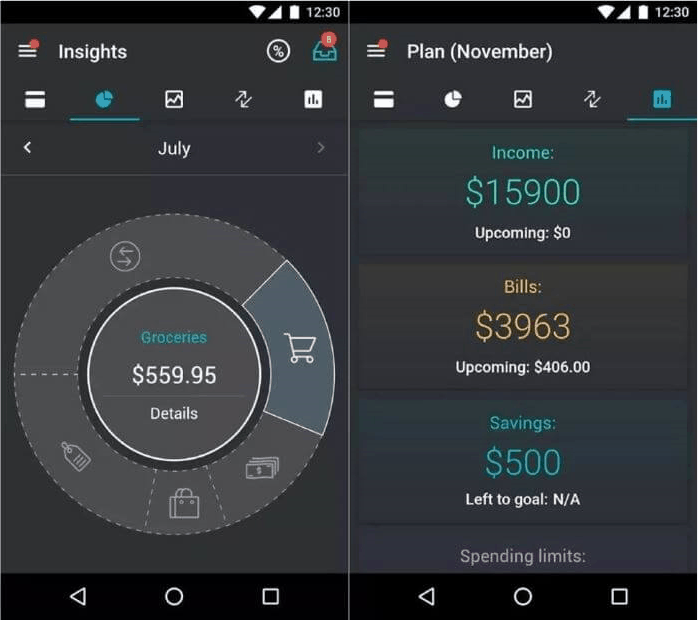 Users link their bank and card accounts to the app, and Clarity then analyzes your spending behavior, identifying opportunities to save money, such as discounts and coupons for your bills, pointing out subscriptions that you might not be using, and helping you build a budget and track your spending. Users can also set a savings goal, with Clarity Money taking a set amount from your bank account periodically to deposit in a savings account. Fudget is a simple, yet powerful mobile budgeting app for fiance. One button lets you add income, another expenses — all of which can be labeled and reordered on a simple timeline that displays your balance at the bottom. Swiping each entry lets you either set it as a recurring entry or delete it. And that’s it. No folders, no savings categories, photos, graphs, or other gimcrackery. Power users will be left wanting for more, but for fast expense logging, Fudget is a nimble and easy to use app. An in-app purchase provides themes and a built-in calculator, while removing advertising. 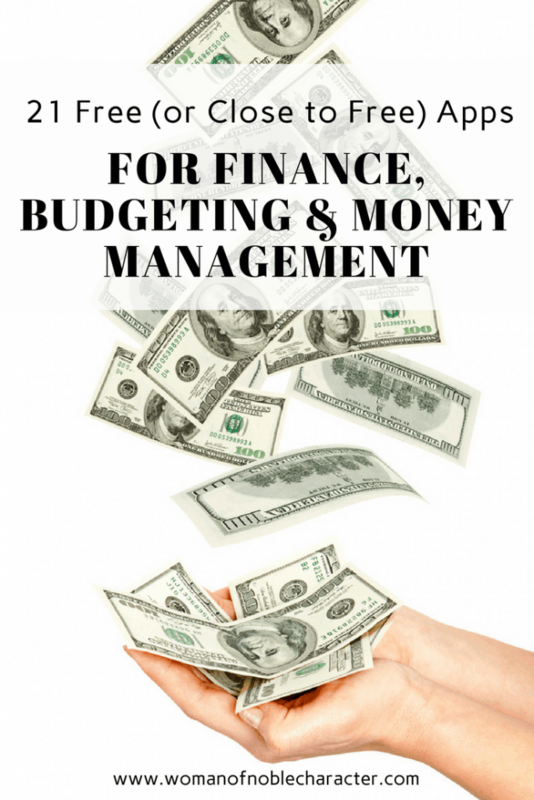 Spendee features a brightly colored, user-friendly interface that comes with great budgeting tracking tools, whether you’re a free user or a subscriber. Users can easily input and categorize expenses, complete with receipts and photos. You also can quickly view your expenses in a feed view, while the Overview mode offers useful infographics on your spending over time plus a breakdown of what items and categories you’re spending your money on. Spendee has also added a budget creation tool, elevating it from expense tracker to proper budgeting app. Premium users get even more love, with bank account syncing for automatic expense logging, as well as multiple budgets, shareable savings wallets, and cross-device syncing. 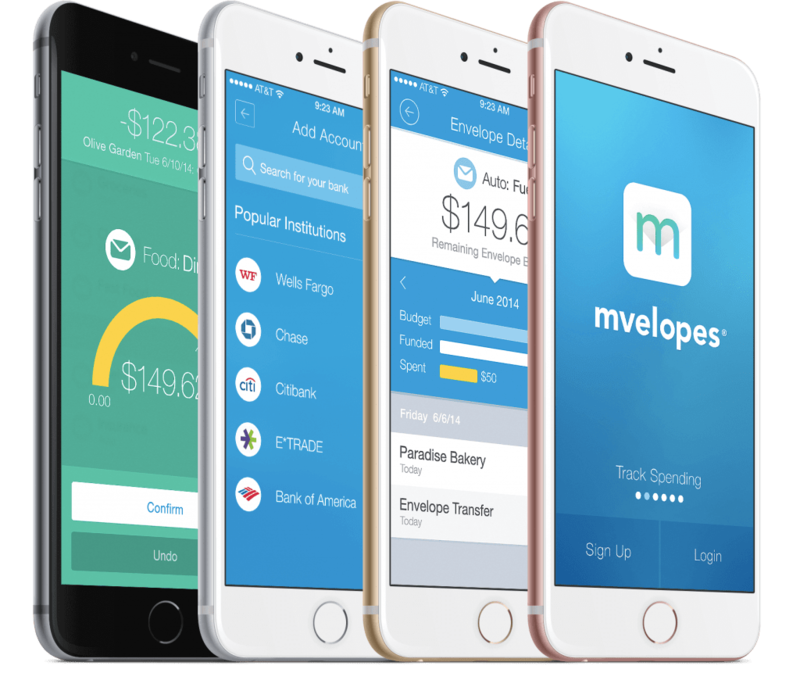 Mvelopes helps answer the question “Where does all my money go”? At the end of the month you may be surprised at how much went toward your morning lattes (not kidding). Mvelopes gives you the tools to track your daily spending while keeping your weekly or monthly budget in focus. 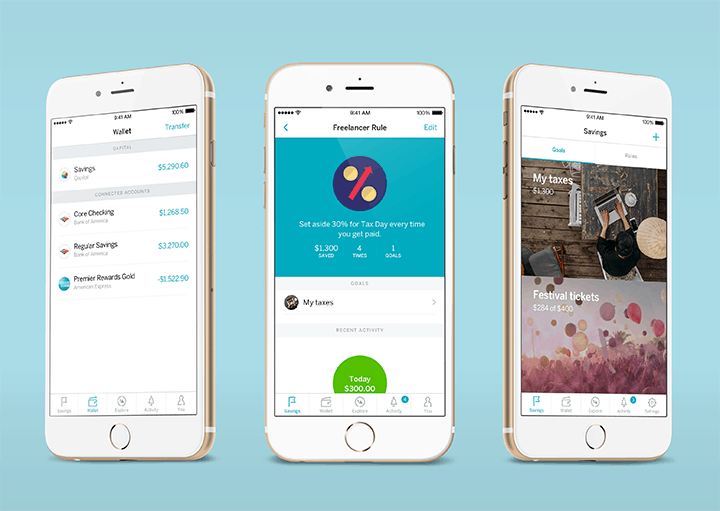 The app features an “envelope budgeting” system that helps you plan as well as get feedback on how you spend your money. A universal accounts screen lets you view checking, savings and credit card balances in one place. You can even sync the mobile app with the Mvelopes web app. 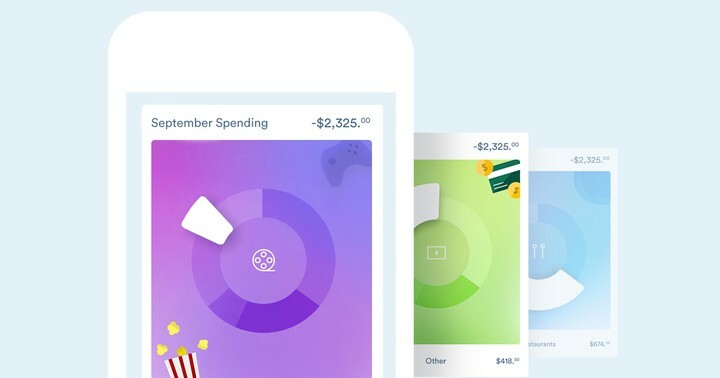 Digit may be the easiest way to sock away a few extra bucks without even trying and is a one of the strong free apps for finances you should check out. Every few days, Digit checks your spending and tries to salvage a few dollars from your checking account, if you can afford it. 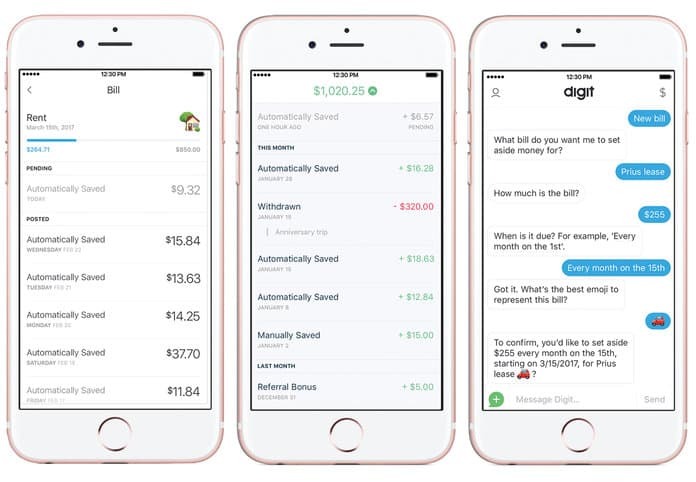 After you connect your checking account to Digit, the app analyzes your income and spending in search of small amounts (most often between $2-$17) to set aside and transfer to your Digit savings. The app never transfers more than you can afford, so no worries about over-drafting — the app has a no-overdraft guarantee. Qapital is another banking app that aims to help automate your saving and budget goals, with smart, user-defined rules that automatically deposit a small amount into your Qapital Goals Account based on your transactions and purchases. These can include shaving off your change after every purchase, or depositing $10 to your vacation account every time you visit the gym. Once you hit your saving goal, such as the price of a vacation or new gadget, you can transfer the money back into your funding account to spend. Alternatively, you can also get a few more perks with Qapital’s spending accounts and the Qapital Visa Debit Card. Stash is another mobile micro-investing app that’s all about setting aside small amounts for long term investment. 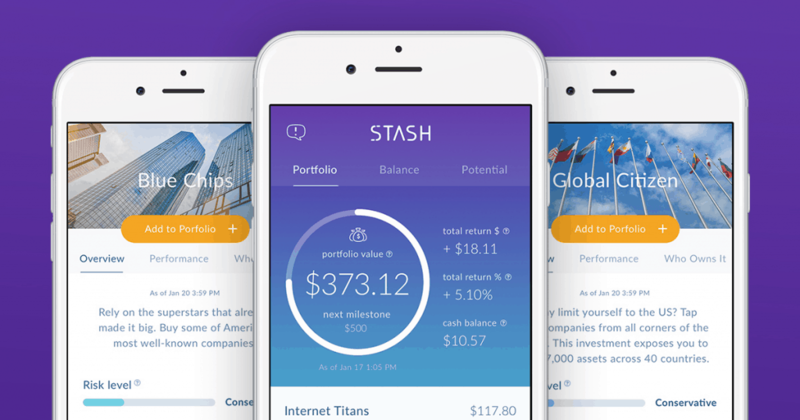 Stash employs fractional shares in order to allow its investors to get their foot in the door even with $5, with a variety of investment strategies and ETFs along with a built in “Stash Coach” to help you strategize. The first month is free, after which accounts are charged $1 per month, or 0.25 percent of account value per year, for accounts above $5000. Goodbudget is an envelope-based budgeting tracker that doubles as a finance manager, checkbook ledger and household budget planner, Goodbudget lets you manage your bills and finances while syncing across devices and the Web to share with family members. The app facilitates saving with Goal and Annual Envelopes, giving you tools to plan your spending or create a budget. Goodbudget is free, but subscribers get additional benefits like Unlimited Envelopes and additional syncing and transaction history. It’s one of the more higher reviewed apps for finance. Albert keeps track of all of your accounts and provides actionable, easy-to-understand recommendations for improving your financial health. The neat choice of apps for finance automatically creates a budget based on your spending habits, bills and income, and sets aside a portion of your funds in a savings account. Users who pay a small monthly fee in the amount of their choice can use the Albert Genius feature to text human experts and get personalized advice on topics like investing, paying down debt or saving for a goal. Wally aims to bring all of the financial information you need into easy view so you can quickly take control of your finances. Users can set a savings target, spending budget and income, which you can quickly reference on the main screen. We like that you can quickly create and view expenses, keep track of money saved and saving goals. Neat features include social and location tools for your expenses, allowing you to record not only how much you spend, but also where and with who, as well as detailed infographics of your spending. 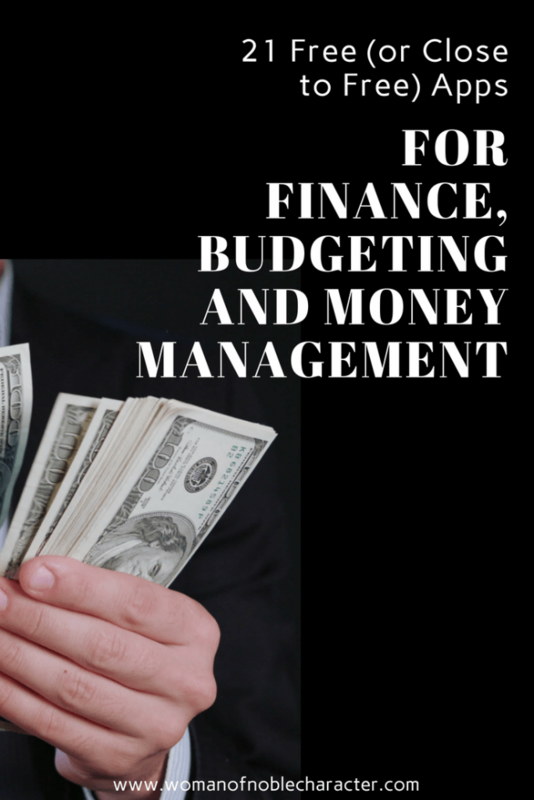 It’s really one of the most comprehensive apps for finance you can find. Wallet is another neat mobile budget and one of the cool apps for finance tool that touts a lot of best-in-class features, as well as support for multiple currencies. 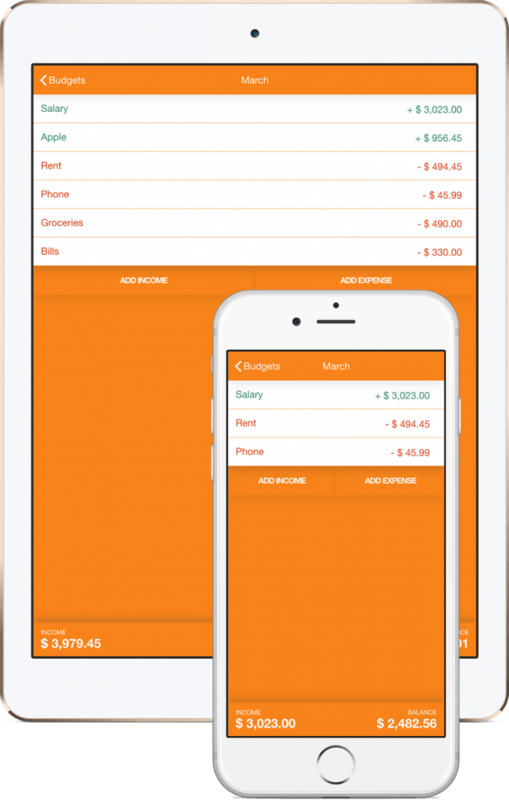 The app includes automatic bank syncing for your balance and expenses. It also gives you the option to manually import entries manually, label transactions for easy tracking, and track budgets. Financial insight and other metrics and predictions display in easy visualizations to help you plan out your finances. While the app is free, you may want to consider paying the $14.99 for a premium subscription to take advantage of features like bank syncing, widgets, and more detailed charts and reports. 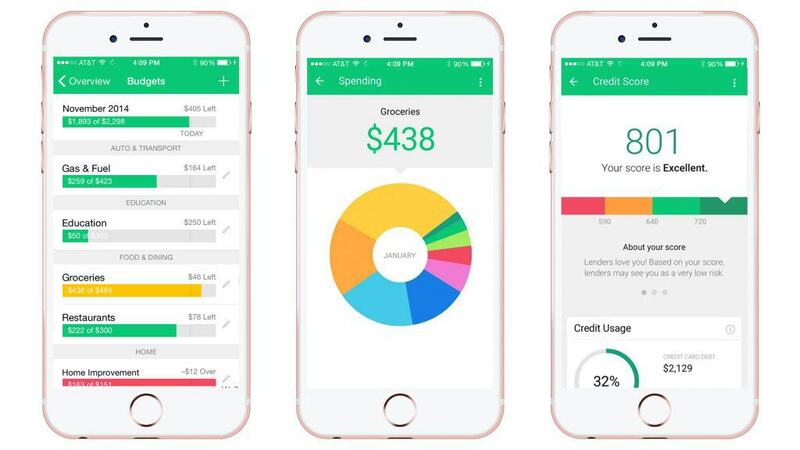 Wela is another one of the cool apps for finance that takes the all-in-one approach to financial management, with users able to link their bank and card accounts to the app to get a quick overview of their financial situation as well as unleash Wela’s AI assistant for financial advice. Users can monitor their income as well as track and categorize their expenses. The app also provides an overview of linked investments and net worth. The AI chatbot Benjamin can provide finance and savings advice based on your personalized goals, with premium services available if you set up a Wela Strategies investment account. 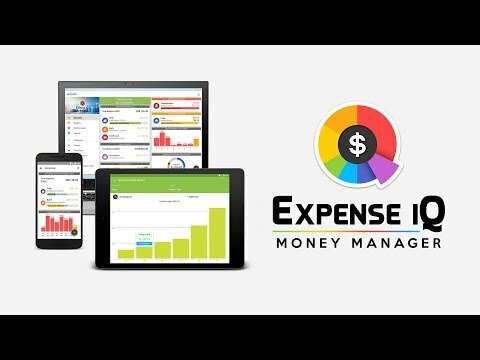 Expense IQ (formerly EasyMoney) combines an expense tracker, budget planner, checkbook register and bill reminder to allow you to easily track daily expenses, create monthly budgets and analyze spending via customizable reports. The app’s Smart Overview shows account balances summary, critical expense reports, upcoming/overdue (be it one-time or recurring) bill reminders and budget warnings. It also features repeating transactions, transfers between accounts, and detailed, interactive reports. Do you know of any more great free apps for finance? Tell us in the comments below. Do you use any of these? What do you think? Looking for an old school, paper way to manage your budget and bill paying? 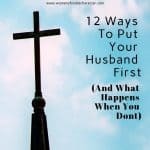 Check out our recent post HERE.